In a relatively short space of time, Table View has grown from an area that could be best described as sandy bush into a vast suburb that has given birth to many other suburbs and townships that either lie within its borders or adjoining Table View. 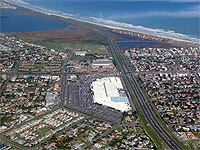 Table View Township, originally registered on October 3, 1942, was bought by Milnerton Estates in an auction sale on August 5 1959. 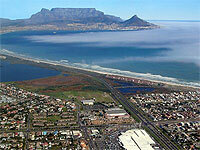 For a comprehensive account of the early history of Table View, please refer to the Complete History of Milnerton. Over the years, Table View has grown at an incredible rate, becoming a home to many thousands of families, who over time have given this suburb many facets and personalities. Situated close to the sea, the Bloubergrant area is a touristy area, with many restaurants and entertainment related venues. The prestigious sea front area is home to many large blocks of apartments, all fortunate to have the beautiful view of Table Mountain and the cold Atlantic Ocean. The Flamingo Vlei area is situated next to the Rietvlei Reserve/Wetland and as such is close to an incredible variety of birdlife. When a person mentions Table View, any of the following areas might be being referred to: Flamingo Vlei, Bloubergrant, Bloubergstrand, West Beach, Sunridge, Blouberg Sands, Parklands, Sunningdale or West Riding. Table View is well supplied with top class infrastructure. Ample primary and secondary schools, both private and public, ensure world class schooling. The Table View Police Station – Community Services Centre has regularly won awards as being the top station in the country. A number of large shopping centres ensure that the major chain stores and other speciality stores are on resident’s doorsteps. Table View offers a wide variety of housing and is definitely an area that is worth investing in or purchasing property for private usage. 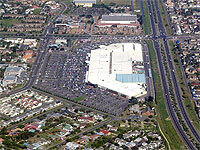 For any queries on property in Table View, please do not hesitate to contact your area specialist, Starprop. 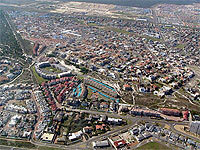 Looking for property to buy or rent in Table View or wanting to sell property in Table View?